We had our first doctor's appointment today and they did the very first ultrasound on Baby Schmitt #2. 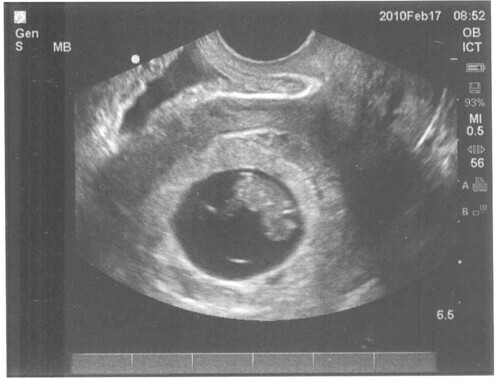 They are measuring at 8 weeks, 4 days and we could see the little one's heartbeat beating. Because the baby measured in a little older than they had originally thought, they've moved the due date up to September 25th. Hooray for a shorter pregnancy! I have been feeling better these past 2 days, but am still slightly nauseous and very tired. Now that we've seen the baby, it is all beginning to feel more real!